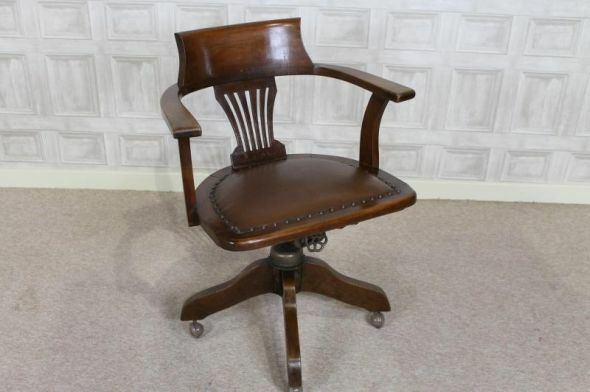 Recently acquired from a large office clearance, this 1930s tilt and swivel oak office chair is in good condition for its age. The mechanism works fine, and there is an upholstered seat for added comfort. It is in a lovely golden oak colour, and is ideal for any period style office.